My classes are creative, dynamic and grounding. Each class is different and I teach from the heart, sharing my passion for movement and mindfulness. I love helping others find the magic that yoga brings and my aim is to support you to live a mindful life with calm, clarity and connection. If you are interested in one to one or small group classes over Skype or FaceTime please get in touch on han@yogagirllondon.com. Group classes can be very inspiring but they don’t necessarily work for all people at all times in their lives. Private yoga classes are an amazing way to make sure that your individual needs are being met in your yoga practice. Whether you’re a beginner and maybe nervous to go to a studio class for the first time, or a more advanced practitioner wanting to delve deeper into certain asanas, I can help. Please get in touch on han@yogagirllondon.com for information about private yoga classes in London. It also creates a lovely sense of community in the workplace. 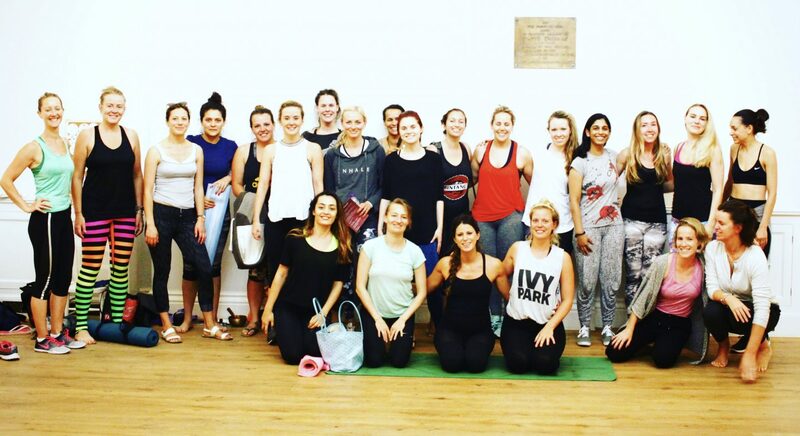 Please get in touch on han@yogagirllondon.com for information about corporate yoga classes in London. For any yoga event or retreat enquiries, please contact han@yogagirllondon.com.